When you read these notes the Register will have been to Ironbridge for the autumn weekend, and the lecture at Radley College about the Marathon Rally from London to Sydney will have happened. 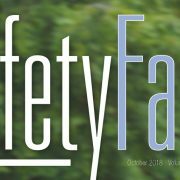 Writeups with lots of photographs in our bumper November issue. 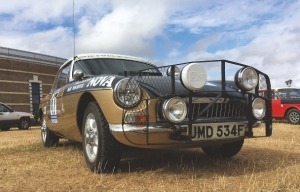 Thinking ahead to November,your MGCC-owned Marathon MGB will be at the National Exhibition Centre, Birmingham, in Hall 8-360 on the Historic Marathon Rally Group stand. This is part of the Classic Car Show on Friday November 9-Sunday November 11. The MGCC will also have its own stand at this event in Hall 3-370. Come and say hello. Looking much further ahead, please put Sunday April 7 2019 in your diaries as it is too early for the new, W.I., kitchen calendar. This is the date for the MGB Spring Run starting from Millett’s Garden Centre, close to Abingdon Further details to follow in Safety Fast! and on our website. Our webmaster, Paul, has been busy updating our MGB Photo Library section of the website – have you sent us a photo of your MGB? Also, have we added your MGB to our 20,000 registered MGBs? The photo above is from John Watson who entered the very popular Snowden Run in August. 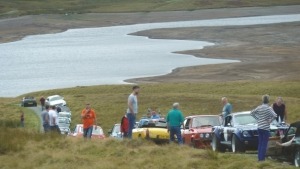 This is when 200 MGs met up with 200 Ford Escorts on a mountain top.